An Irish-designed device to generate electricity from ocean wave power is another step closer to breaking into the ocean energy market. 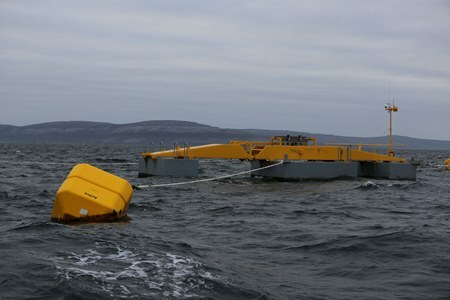 Sea Power Ltd., has concluded the winter survivability testing programme of their prototype wave energy device at the Galway Bay Marine and Renewable Energy Test Site. In the coming week the device will be removed from the test site and brought back into Galway Docks. This is a significant progress for the eight-year project, which has been a collaboration between Sea Power Ltd., SmartBay Ireland, the Sustainable Energy Authority of Ireland (SEAI) and the Marine Institute. 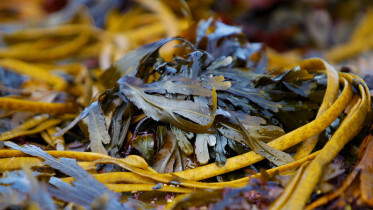 Following successful testing at small-scale, the company, progressed to quarter scale testing in open sea conditions in Galway Bay for the first time last October. SEAI and the Marine Institute are working together to develop Ireland’s ocean energy testing infrastructure which includes tank testing facilities at Lir National Ocean Test Facility in Cork, the consented quarter scale test site in Galway Bay and the planned full-scale Atlantic Marine Energy Test Site off the Mayo coast. The Galway Bay Marine and Renewable Energy Test site has been in operation since 2006 and is currently licensed to operate until 19th March 2017. In line with the Government’s Offshore Renewable Energy Development Plan, the Marine Institute applied in April 2016 for a new foreshore lease to allow testing of a wider range of marine renewable energy devices to provide researchers and those involved in developing ocean energy devices with a world-class permitted area in which to safely test and demonstrate quarter-scale prototype ocean energy converters and related technologies. No determination on this application has been received from the licensing authority to date.